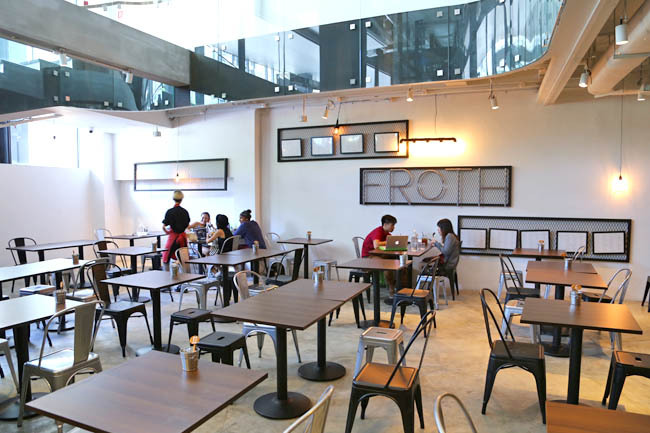 Froth Café would face the challenge of standing out from the rest of the many many cafes. Not that the food is no good. After all the chef used to be from Tippling Club. But it needs some character, and refining of its prices. 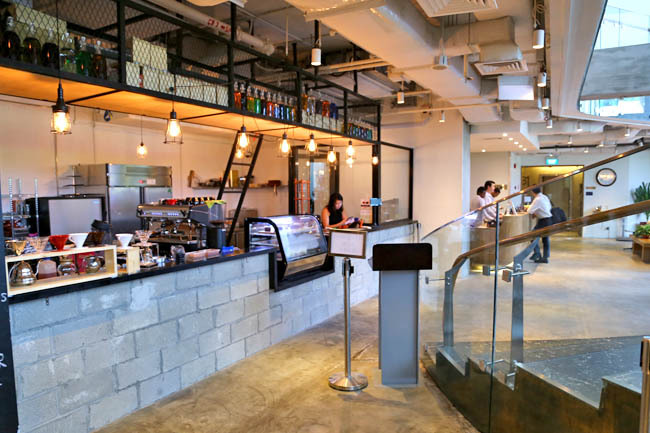 The café is located at the basement level of Big Hotel at Middle Road, serving café favourites and contemporary Asian fusion cuisine. For directions, find Big Hotel opposite Sunshine Plaza and make your way downstairs. It is independent from the hotel, though it serves breakfast to its hotel guests (similar to Babette). 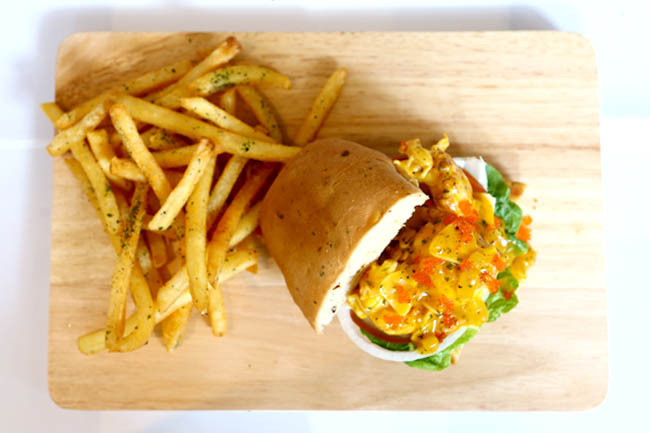 The recommended items are the Bacon Chowder ($7.90), Doritos Crust Winglets ($11.90), Seafood Tom Yum Risotto ($23.90), Cheesy Lobster Sandwich ($22.90) and Bubblegum Milkshake ($10.90). 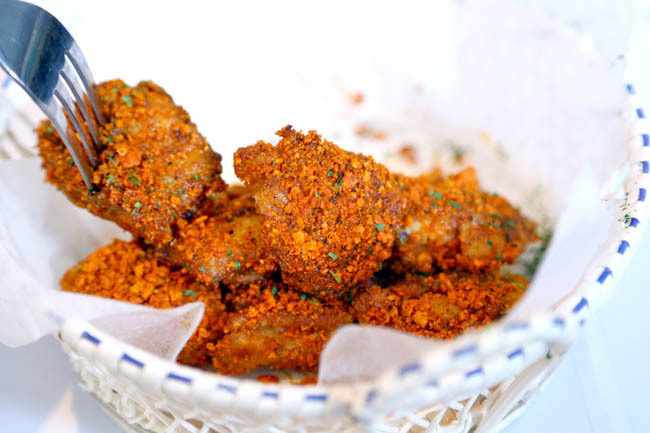 Boneless winglets coated with crusted Doritos ($11.90) were my first, and made a more fun starter to munch, rather than considered as substantial. Personal take, but this could have been a bomb if it came with bones instead. I was recommended the Cheesy Lobster Sandwich ($22.90). 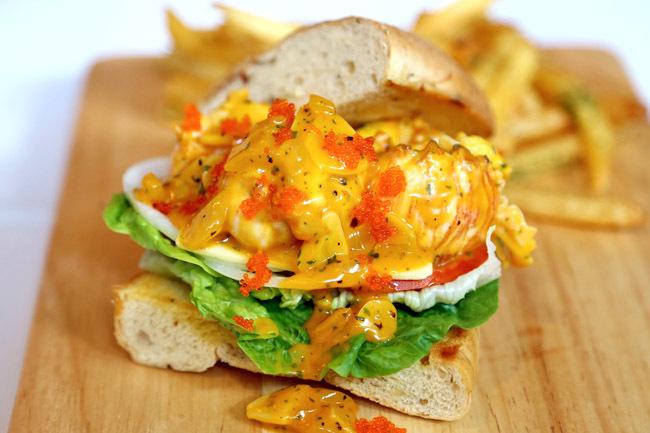 Is this the best lobster sandwich around? No. Is this the most value for money? Perhaps. Coming looking photogenic on a wooden board and peppered with tobiko, the lobster flesh came in generous portions, dripping in sauce. The bland bread was its obstacle to greater stardom. But can I say the best thing on the entire plate were the fries? The crisp fries were absolutely wonderful. The one thing that many cafés (or some new F&B) in Singapore never got to realise is, there is really no such thing as a ‘soft launch’. If there is, it shouldn’t take more than a week. 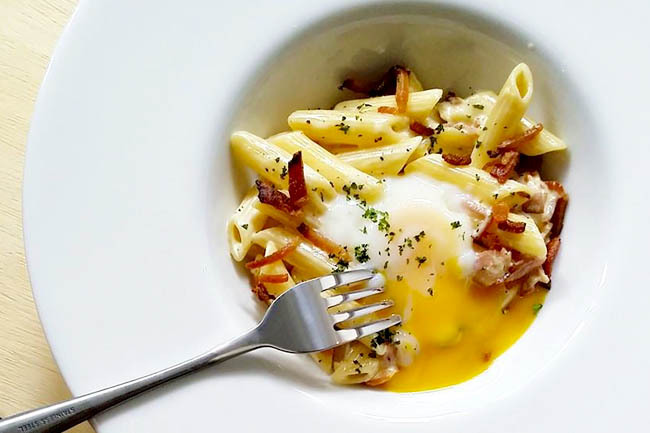 The first few months is the period when your most important customers would come – the media, the bloggers (Page 1 of google alert), the instagrammers with influence, the diners who write your very first review on HungryGoWhere & Yelp, the curious workers and students located nearby, give them a very good impression and they will keep coming back. 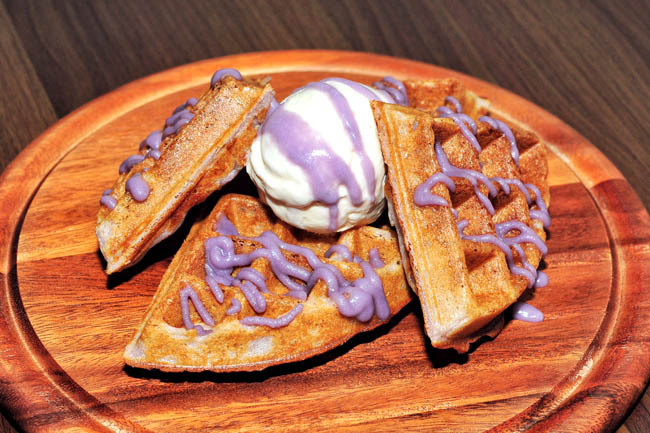 There were some good items on Froth’s menu, but I have the feeling they are not quite ready yet.